Until this week, President Trump and several hundred million other Americans assumed he would be coming to the Capitol to give his State of the Union address this month. That was based on nearly 230 years of tradition, recently renewed by the invitation of House Speaker Nancy Pelosi, D-Calif. 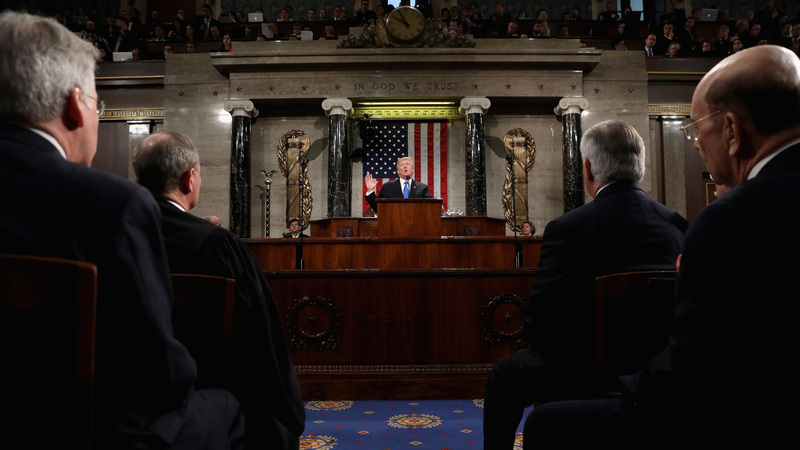 But now Trump's address appears to be up in the air – unlike Speaker Pelosi's scheduled trip to Afghanistan, which has been grounded in apparent retaliation by the president. And isn't that appropriate? Many other federal functions are either grounded or up in the air as we mark four weeks of the longest partial government shutdown in history. Pelosi says the usual SOTU ritual is risky and inappropriate when so much of the federal government is shut down or working without pay. Trump says then the same applies to overseas travel by members of Congress. And Trump backed that up by canceling his own administration's delegation to the World Economic Forum in Davos, Switzerland — grounding his treasury secretary, secretary of state, commerce secretary, trade representative and deputy chief of staff. All this may be nothing more than the latest partisan volleying over the Southern border wall Trump wants funded and the shutdown. But it does raise the question of security as it pertains to the State of the Union speech, and that raises the question of the value of the speech itself. Remember we are talking about crowding the president and vice president, and all the members of the Cabinet, the Congress and the Supreme Court into a single interior space — the House chamber. As a moment of vulnerability for the national leadership, this surpasses even the inauguration. That is why one Cabinet member is kept away each year so as to maintain the chain of presidential succession (see Designated Survivor, seasons 1 through 3). For the record, the Trump administration says all the usual Secret Service and Department of Homeland Security folks who would work this event are ready to serve this year as always. Required to, in fact. Even unpaid. Pelosi says those people should not be asked to do that under the circumstances. And she has a point. So what about this thing the SOTU? Is it something everyone really has to physically attend, or is there an adaptation available? Could this annual monster meetup on the National Mall just, well, go away? The president told supporters in a fundraising email Thursday that it was illegitimate for Pelosi to mess with the date and manner of his address to the nation. Other Republicans were also swift to say the event belongs to the people and not the Democrats' boss lady. with the top Republican in the House suggesting Peloi was playing politics. But would we miss the hour-plus of speechifying and un-spontaneous ovations from one side of the aisle or the other? Would we be the poorer without those hours of pregame and postgame punditry? To be sure, something would be lost if the one truly bipartisan, bicameral, multi-branch and multi-everything confab of the year disappears from the nation's capital. For more than a century, it was understood that a president's annual report to Congress would be a written document sent up to the Capitol. That way of doing things began with Thomas Jefferson in 1801, who thought making a personal appearance seemed too royal – too much like the King of England barking his orders to Parliament. The idea of a written report then held sway straight through to 1913, when the progressive Democrat and Princeton professor Woodrow Wilson decided to come lecture Congress personally. Wilson also followed the example of Theodore Roosevelt by making his speech a muscular agenda rather than just a rundown on what was happening around the government. Due to ill health, Wilson went back to mailing it in for the last two years he was president. Warren Harding did two SOTU addresses in person before dying in office. Calvin Coolidge gave his first in 1923 in person and allowed it to be broadcast on the radio. Then Coolidge went back to the written report, which Hebert Hoover also favored. Over the years there must have been times when Capitol Hill leaders wished they could lift that powerful device deftly from the hands of the president and put it on a shelf. But even those speakers of the House most at loggerheads with a president have felt they had to issue the routine invitation and sit there and take it. To do otherwise would have been unthinkable. So what will happen next? Some House Republicans got busy Thursday circulating a letter asking Senate Majority Leader Mitch McConnell, R-Ky., to host Trump in the Senate chamber this year. Checking the precedents, there have been many presidents who addressed the Senate while in office, but not for a "State of the Union" or any other kind of joint session of the Senate and House together. Those are always in the far larger and more commodious House chamber. House Republican leaders have speculated that another venue on the Hill might be found anytime the president of the United States wishes to speak. And surely that's true. But does it make sense to do this speech at this time in any other place? Or does a change of venue sap too much of the tradition, glory and grandeur?